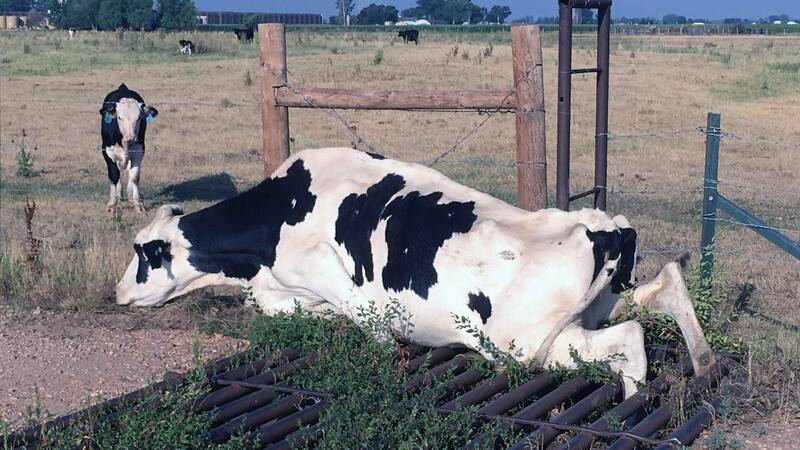 GREELEY, Colo. - Colorado firefighters came to the rescue of a cow that got its leg stuck in a cattle guard, United Press International reported. 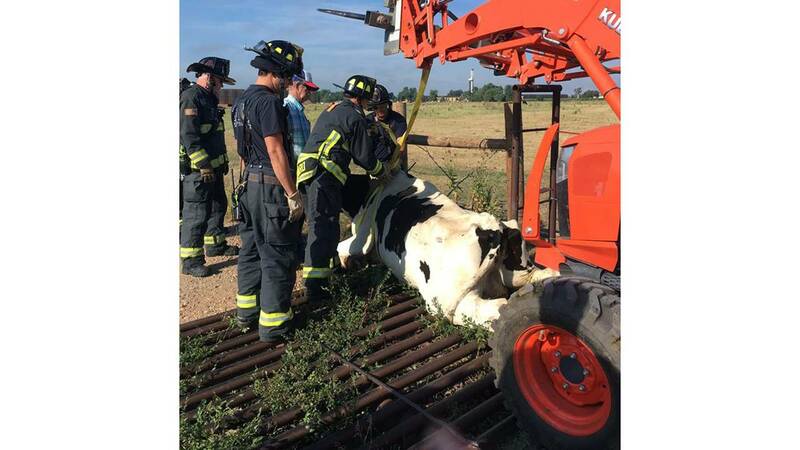 The Greeley Fire Department said firefighters responded to a mutual aid call from the Weld County Sheriff's Office on July 18 when the cow became stuck. 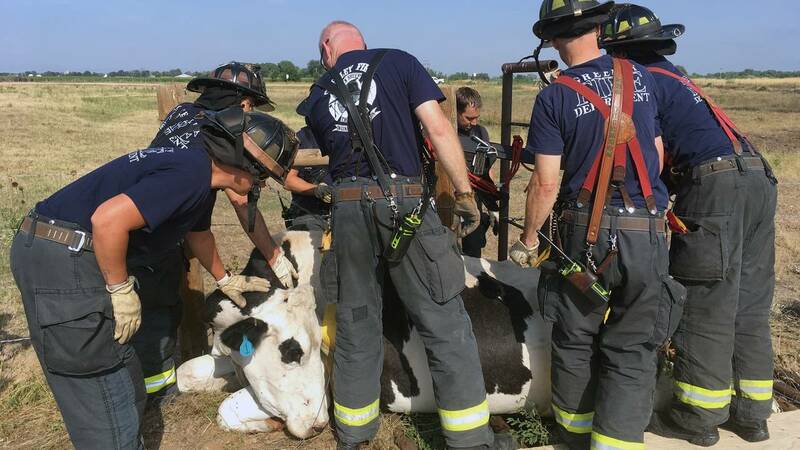 Firefighters along with animal control officers, deputies and workers from a nearby oil field worked together to lift the cow and free it from the metal grid, according to UPI.